Once again I was pleased to receive a Luxe Box from Loose Button. I have written about Loose Button’s Luxe Box service before, in a nutshell it’s 5-6 deluxe beauty samples delivered to your door monthly for $12. It allows you to try out makeup and beauty products before you invest in the full size retail version. I love the Pur Minerals 4 in 1 foundation, it’s silky soft and I will be using it often. The other 3 items I will be sharing with friends and family, simply because they’re not my taste. Luxe Box subscriptions are currently sold out at the moment, but you can get your name on the wait list. The price range is $12 for 1 month, $36 Quarterly (every 3 months) and $120 Yearly (all 12 months). Would you like to WIN a May Luxe Box? If you’re one of my Canadian readers and over 18 you can, simply fill in the Rafflecopter form below! Winner will be announced April 30th and have 48hrs to respond. I love Luxe Box. It is a nice little surprise to see what you will get! 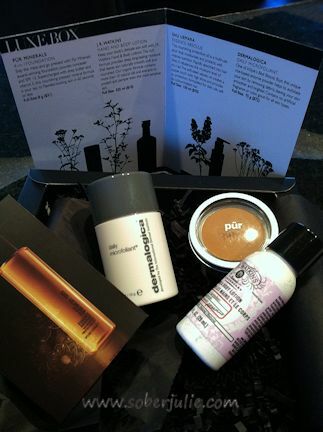 Have always wanted to try the Pur Minerals products, and am desparate for a good hand cream. This is a GREAT prize! I would love to win a LuxeBox because I would rather get a nice surprise in the mail other than a bill. I’d love to win a Luxe Box so I can try products that I otherwise would not normally purchase. A great way to try a sample before purchasing the full size. id love to win because who doesnt love free make up!! I’d like to win one because Im a cosmetics junkie but as Im currently having to cut expenses, not able to order one myself. I have tried a nail polish ‘box’ and would enjoy comparing. These ‘boxes’ are such a growing trend right now! They look like great samples and if I like them, I will buy their products! I’d like to win a Luxe Box because I’m on a limited budget and I’d love to try some higher end brands! It lets you to try different beauty products that you may not every tried..
I’d like to win because I have been thinking of signing up for one of the beauty box services and it would be great to try it out first. I am a big fan of beauty products. I love trying new products. It looks beautiful so I would like to try them! I’m totally lazy when it comes to makeup so this would be a great way of finding new things without having to pay for stuff I may not like. I’d love to try out some new beauty products. It’s a cool idea – Luxe Box. Would love to win. I would like to win because I’ve heard so much about this service and would love to give it a try! I would like to try all the different samples to see which ones I like the best it would be great not to spend a whole lot of cash doing it! Everyone is raving about Luxe Box. I would love to see what the fuss is all about. Plus, it is a surprise every month and who doesn’t love surprises? I would love to win! it`s such a nice treat to receive actual mail, you know, instead of bills or junk all the time! And trying out great new products is always fun! I would love to win because i like to try new products before i buy them..
I’ve considered signing up for this program, but would really like to have a trial run before I commit. Winning this box would help me decide. I would love to try a Luxe box! They are like little surprises delivered to your door, and you don’t know what is inside until you open it! The products are really neat, too – would love to try! i would like to try different beauty products thati I may not have tried or known about before. the products looks like such high quality. I’d like to win because I never splurge on makeup. Love trying out beauty samples! I love to try before I buy. Sounds like a fun way to try out new products! As a new mom I never have time nor money to do something nice for myself so this would be a treat!! I could use a little pampering and everything in there is something just for me, instead of stuff for the kids! I love cosmetics!! I love to try new things! id love to win because im interested in getting a subscription to luxe box or birch box or some kinda box but i would love to actually get one first and see what they are like! :) so this would be a perfect opportunity to try it out! I would love to win the Luxe Box! I’ve only just heard about these types of beauty sample boxes recently and I think their such a cute idea! I’m always too nervous to buy new make-up products incase I don’t like the product. As a university student, I don’t exactly have a whole lot of money to burn. I think things like the Luxe Box are a great idea for people like me who are kind of tight on cash, but still want to be able to try out new make-up. It lets you try out great products and figure out if they are right for you before you commit to paying for the full sizes. Plus, I get really excited when I receive things in the mail! Always nice to get a little surprise of wonderful products, awesome idea. 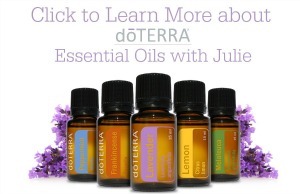 I have heard great things about this company and would love to win one before I commit to ordering it. I would love to receive a Luxe Box just for the fun of it! I love cosmetics and such! I would love to receive a Luxe box! I don’t wear a lot of make up and I love the way Lux feels. Wonderful! LOve love love the contest idea . I am soo excited to have the opertunity to try to win my first luxe box . I would love to try out the products and they are a nice surprise.